Pork chops meet their new favorite summery sauce. Learn all about pork chops, and how to cook them to their best -- in spring, summer, winter, and fall. Ease into fall with a spicy, satisfying meal to warm your belly -- and your palate. 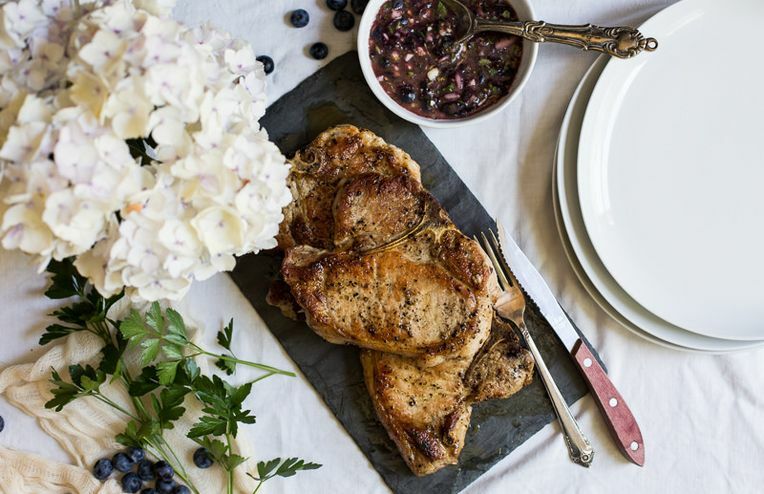 Fresh herbs and peppery arugula bring pork chops and potato salad together with a springtime feeling.